Analysis--When confronting seemingly insurmountable situations, instead of being overwhelmed, think and reflect about the situation and discover hidden insights. Advance--Better understand the nature of problems while also strengthening your vision and identity through planning and preparation. Act--Begin with everyday challenges and use what you know from every situation, in every interaction with a child, parent, peer, or administrator. Accelerate--Focus on what you want to change, gather allies, document, and communicate. 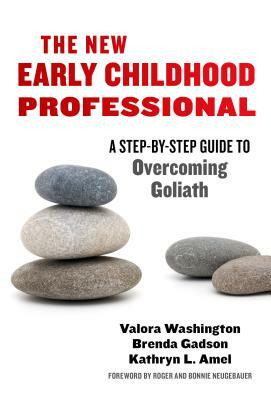 Visit the book's website at www.newearlychildhoodprofessional.com. Valora Washington is chief executive officer of the Council for Professional Recognition and the founder of the CAYL Institute in Jamaica Plain, Massachusetts. She is the coauthor (with Stacie G. Goffin) of Ready or Not: Leadership Choices in Early Care and Education. Brenda Gadson specializes in working with community-based nonprofits and is the owner/operator of BMG Consulting in Ocoee, Florida. Kathryn L. Amel is associate manager of programs and operations with CAYL Institute.